Several committees have been recently (re-)activated, and others will be coming back online shortly. This committee will be managing the various communications channels with ROSNF, including our newsletter. We have just commenced work on a communications strategy for ROSNF. See the Communications Committee rosnf.net group or Facebook group. Are you planning on going to the Lisbon Convention? Would you like to help plan ROSNF’s presence and activities at the next Convention, whether you are able to attend or not? Then please join the ROSNF Convention Committee on Facebook or on rosnf.net. Do you provide social media training in your district? Would you like to be involved with social media training? Join the ROSNF Training Committee, now operating via a Facebook group and rosnf.net group. 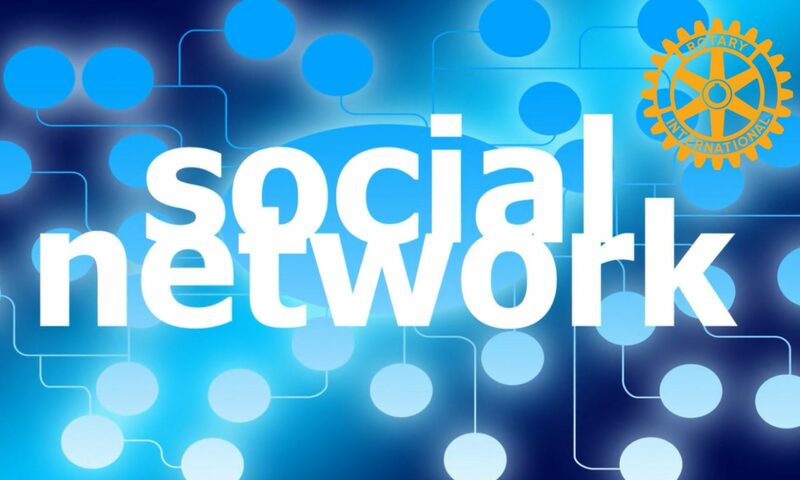 Here on the Rotarians on Social Network Fellowship we have resources such as guidelines for using social media for Rotary at a personal, club and district level and best practices for developing a social media policy. You can also find past webinars on the “Archived” tab on www.rotary.org/webinars. Join Rotarians Simone Carot Collins from the Rotary Club of Freshwater Bay in Australia, and Chad Waldo from Lee’s Summit Sunrise Rotary Club in Missouri, USA, to discuss how you can enhance your club or district’s online presence. Topics will include: Why creating a digital communications strategy can help Rotary; how to get the most out of social media; quick fixes to enhance your website; and much more. During this 60-minute webinar, RI Public Relations Specialist Joe Lorenzo will also provide some quick tips on how to use Rotary public relations tools to further your club’s public image. As Rotarians and Rotaractors, we are about Service Above Self. As members of the Rotarians on Social Networks Fellowship, we are all interested in utilizing social media to enhance our efforts. To bring these two together, ROSNF wants your help in identifying a service project! ROSNF is different than a club or district in that our members are all across the world. As such, our service project might not look like a typical club or district project. We are looking for project ideas that have both a humanitarian impact and a social media/ web 2.0 component. One example, for instance, might be supporting a micro-loan through an online site such as Kiva.org. ROSNF members could contribute funds online via PayPal, help select the loan recipient, and be kept up to date on the progress of the beneficiary. This is just one example, and we know that members of ROSNF have many more great ideas! We will be accepting project suggestions until October 8, 2012. Add your suggestions by commenting on this post, or e-mail Mary Kathryn DeLodder at mkdelodder@gmail.com or via Facebook. ROSNF members will later be invited to vote and select our project!